We are entering a season that is at once the most beautiful of the year and the most busy. I long to use this month to remember the miraculous gift God has given us in Jesus and to worship Him. I want that for me and for my family. But pressing up against that longing is the necessary shopping and wrapping, decorating and baking, parties and plays. All good stuff, but stuff that can derail from advent. That is precisely why I wrote Countdown to Christmas. I wanted to carve out time each day — for me and for my family — to open scripture and to unfold the Christmas story. 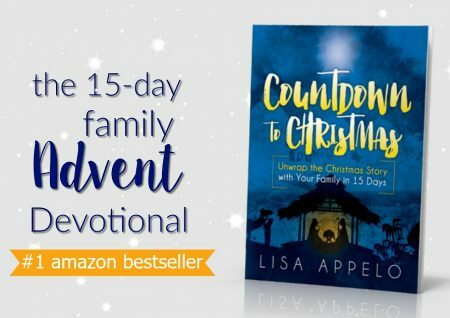 And I’m elated to share with you that my book Countdown to Christmas: Unwrap the Real Christmas Story with Your Family in 15 Days is now released! It’s been available in ebook, but this year, it’s expanded and in print to be used year after year, or packed away into Christmas boxes. that this book was written to span the ages — to meet younger kids while allowing teens and parents to dig deep into the wonder of Jesus’ birth. Countdown to Christmas is a 15-day advent book with scripture, a devotional reading, a prayer and a suggested Christmas carol that ties in to that day’s scripture. 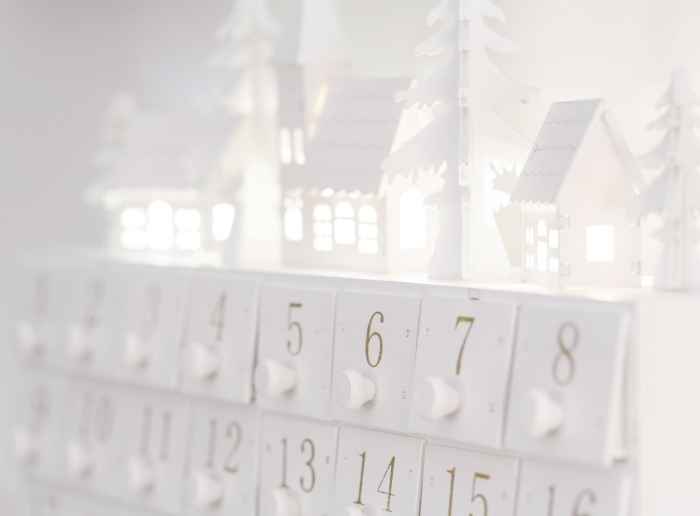 Here’s the part my children love: each day’s reading is connected to one piece of a standard nativity you build as you unfold the story of Jesus’ birth and countdown toward Christmas. True story: I cried as I edited this book. Not because of the task – although late night eye strain is a real thing. I cried because of the beauty and brilliant splendor of God’s redemptive story, threaded through the ages. Stunning with the simple. Extraordinary right in the ordinary. So, today, we’re celebrating the release of Countdown to Christmas with two great freebies! First, I’ve made the first two chapters of this book available for you as a sample of the devotions in Countdown to Christmas. And second, I’ve put together a playlist of all 15 Christmas carols that tie in with the daily devotionals. Use it to close out your advent reading each day or keep it on repeat in your kitchen while you wrap and bake. I pray this blesses you and yours mightily as we prepare our hearts to adore Him this advent. You can find Countdown to Christmas: Unwrap the Christmas Story with Your Family in 15 Days here. Looks wonderful, Lisa! Congrats on your print release! I am so excited for you about this Lisa🙌🎊 Thanks for all your work to help the rest of us have a more meaningful holiday season💕 You are awesome at what you do my friend! Thank you, Gretchen, and I appreciate you sharing it. It’s exciting to have it in print after using it with my own kids. Congratulations on your release Lisa. Love the playlist that ties into the devotionals. An early Merry Christmas to you and yours. How exciting Lisa! And what a legacy.